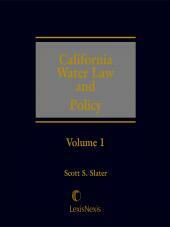 Renewable Energy Law and Policy is a valuable treatise for those new to renewable energy law, as well as a solid resource for seasoned professionals who have been working on renewable energy deals for decades. 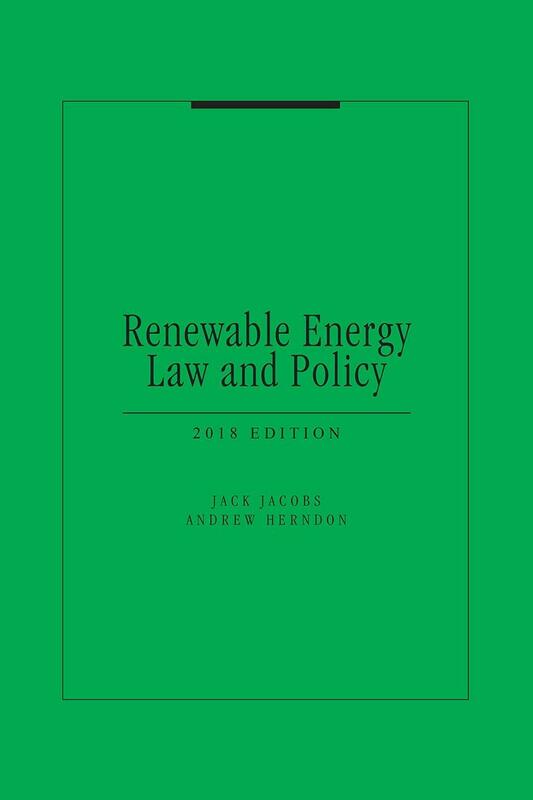 The book includes an overview of the renewable energy industry, practical practice perspectives, policy discussions, recent industry developments, trends that are shaping the future, challenges faced by this growing practice area, and sample agreements that are indispensable in many renewable energy transactions. 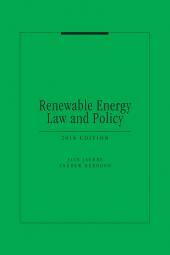 Renewable Energy Law and Policy covers the aspects of most renewable energy deals, including issues pertaining to structuring, real estate, finance, land use, contracts, environmental, corporate, tax, and securities law. As this nascent industry matures, and technology makes it increasingly more efficient to create electricity from the sun, wind, and geothermal resources, lawyers have begun seeing an increase in questions from landowners, project developers and non-renewable energy producers that are looking to grow in, or break into, the renewable energy sector. Legislators have also taken notice of the unprecedented potential and real growth over the last decade. 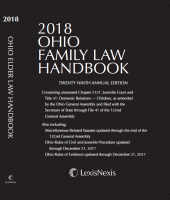 This book helps practitioners, students, and laypeople navigate the complex and ever changing landscape of this new area of law. It was written to help the reader deal with this evolving reality by explaining the dynamics of the industry and the existing and developing regulatory and competitive environment. • Legal and policy issues that impact the development, implementation and commercialization of renewable energy projects. • Structuring, land use, siting, and finance issues encountered by developers of renewable energy projects. • Investing in renewable energy projects. • Renewable energy development in other countries. • Building a renewable energy project. 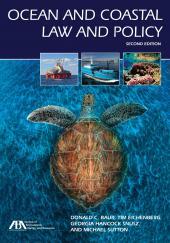 • Tips for drafting and negotiating key renewable energy documents. Jack Jacobs, Esq. is the founder and managing partner of Cleantech Law Partners (www.cleantechlaw.com), a full-service law firm that caters to the renewable energy industry. Before founding Cleantech Law Partners, Jack held a variety of legal, policy and business positions in the U.S. and abroad, including: an environmental law firm near Boston, a cleantech venture capital fund in Jerusalem, the Israel Ministry of Environmental Protection, and the United Nations Environment Program in Geneva. Jack also taught a graduate-level course in comparative environmental law at the Arava Institute for Environmental Studies. He holds an LL.M. degree in environmental law & natural resources from the Northwestern School of Law at Lewis & Clark College, a J.D. degree with a concentration in environmental law from Vermont Law School, and a B.A. degree in environmental analysis & planning from Frostburg State University. Jack is a member of the Massachusetts bar. Andrew Herndon is a former legal intern for Cleantech Law Partners. Before assisting CLP, prior to law school, he worked for more than 5 years as a data researcher, analyst, and journalist focused exclusively on renewable energy finance and project development. Andrew began his career in 2008 in the Washington, D.C. metro area with New Energy Finance Ltd., a London-based provider of insight, data, and news for decision makers driving change in the energy sector. In 2010, after the research firm was acquired by Bloomberg LP in 2009, he relocated to Bloomberg's San Francisco news bureau and transitioned to reporting full-time as the only member of his team on the West Coast. More recently, Andrew also has worked for the California Public Utilities Commission, as a graduate assistant focused on rooftop solar net energy metering policy; for SunPower Corporation, as a legal intern in the company’s in-house legal department; and for a market-leading U.S. renewable energy company, as a proposal writer drafting responses to formal solicitations for commercial-scale solar and utility-scale battery energy storage systems. Andrew holds a J.D. degree from Santa Clara University School of Law and a B.A. degree in International Relations and History from the University of Pennsylvania. He is a member of the Oregon State Bar, has a pending application to join the North Carolina State Bar, and plans to join the District of Columbia Bar by motion by early 2019.